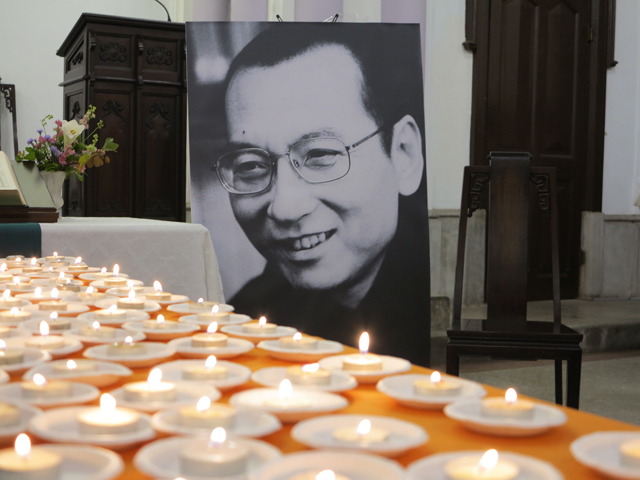 At 7:00 pm on July 30, a memorial service for the 2010 Nobel Peace Laurate, Liu Xiaobo, was held at Chi-nan Presbyterian Church of Taipei Presbytery. Yu Jie, a famous Christian dissident writer from China, reflected how the China authority hi-jacked Liu’s father to the jail and kneel down before Liu, bending Liu to deliver a confession of error for all Liu’s statement about June Fourth Event in 1989; forcing Liu to deny to the public there was any death toll on Tiananmen Square. 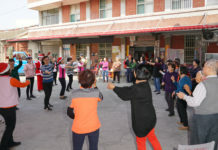 As some martyes in Tienanmen Square were actually Liu’s students, Liu felt very much ashamed of submitting a public denial about the June Forth Event, even he was in jail, according to Yu Jie, adding that Liu therefore vowed to dust off this guilty feeling of shameness using the rest of his life. Though the body of Liu Xiaobo was promptly burned into ashes and buried in the sea after his death, Yu Jie remarked, “It is not important to care about whether the remains of Liu Xiaobo is a body or a pile of ashes, because Liu has transformed into an spiritual existence!”. To remember Liu Xiaobo, Yu Jie suggested people around the world bring an empty chair to the shores any time they want. 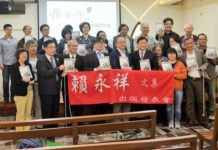 Rev Lyim Hong-tiong, General Secretary of PCT, gave his sermon, entitled as “Love and non-violence illuminating the way of freedom and democracy”, to the audience. Mentioning Liu Xiaobo was given an empty chair, when he was awarded the Nobel Peace Laurate in Sweden, Rev Lyim spoke to the audience a same-epirited story, when the former Feneral Secretary Rev Kao Chun-ming was jailed for 4 and half years due to Formosa Magazine Event in 1979, PCT always kept an empty chair for Rev Kao during the meetings PCT General Assembly.